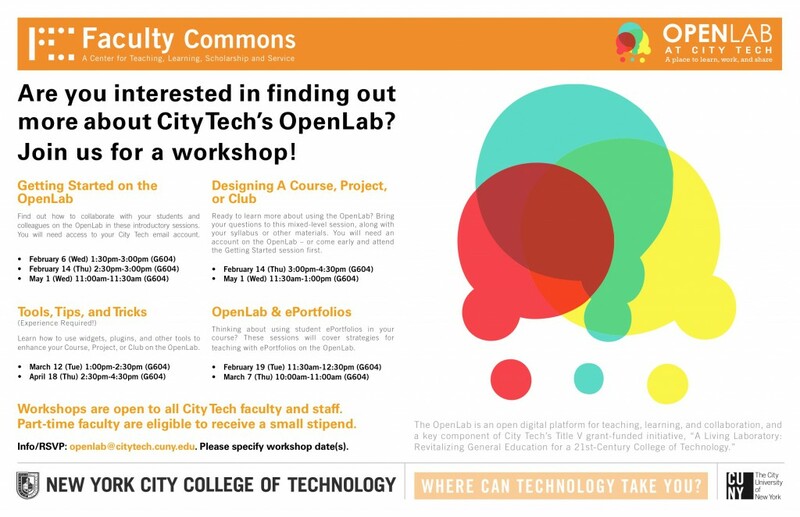 This internship is being offered in partnership by City Tech’s OpenLab and early-adopter.com, LLC, a New York-based interactive design studio. 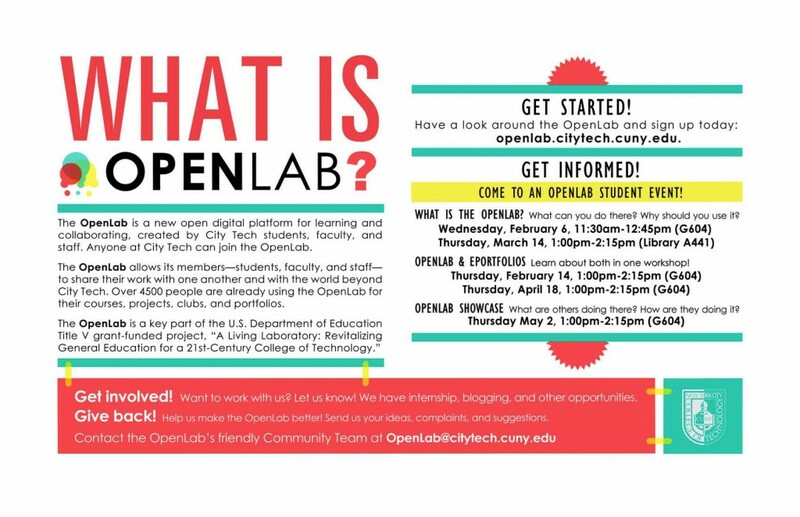 Early-Adopter, the group of developers building and refining the OpenLab, is seeking a crack squad of web design, information architecture and development ninjas to work on the OpenLab, City Tech’s open-source digital platform for students, faculty, and staff. The OpenLab is a large WordPress and Buddypress-based project with thousands of users and complex feature sets; a team of highly-skilled professionals is needed to keep it moving forward. As a Design Team Intern, you will get unbeatable experience working in a team environment and solving the kinds of problems that only occur in large systems, preparing you for the challenges you’ll face working for some of the most dynamic and exciting companies. You will hone your IA, design, and PHP skills, and gain valuable experience working with and thinking about WordPress, one of the leading open source content management systems. This is a unique internship, beginning now and continuing for the Spring 2013 semester. Applicants who can only commit to one semester will also be considered. Ability to think carefully and systematically about complex systems. Excellent HMTL and CSS Skills. 3.0 GPA or better and a recommendation from a web design instructor. 8 hours per week at early-adopter.com’s offices in Manhattan (Broadway and Houston) and from home. Schedule flexible. Early-Adopter will begin interviewing applicants soon. Positions will begin after interviewing is complete. Contact us at internships@early-adopter.com. Please send a resume, a few links to your online work, and a short note describing your interest in the position and how your experiences qualify you for it. If you already work within the CUNY system or for the Research Foundation of CUNY, please note that, too.